The Dairy House is a lovely sprawling detached Victorian house situated a minute from the foreshore of Portsmouth Harbour with views over the water from the large lounge and 3 of the 7 bedrooms. 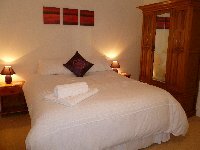 Each of the 7 bedrooms have superior quality kingsize double beds which can separate to create 2 singles and are made up with crisp white cotton linen and fresh white towels for each guest. 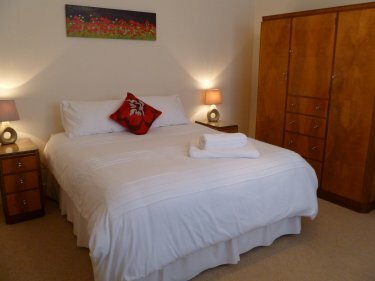 2 of the bedrooms are 'family' rooms which can sleep a 3rd and 4th person plus the 3 large sofas within the lounge convert to make extra beds for extra guests if required. The 5 high spec bathrooms all have quality fitted showers and the main first floor bathroom is also fitted with a sumptuous corner bath (complete with giant duck). The kitchen comes fitted with all mod cons, a large range style gas cooker, washing machine, dishwasher, an American walk in style fridge freezer, etc and there is even a second fridge freezer if required. 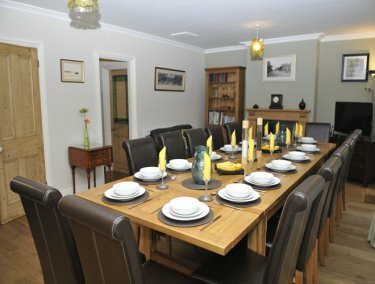 The adjacent dining room is home to a splendid large oak 16 seater dining table with 16 matching leather high backed dining chairs plus a smaller overspill table and 4 chairs to allow dining for 20. There is seating for 20 in the lounge and a pair of binoculars in front of the large picture window to view the goings on in the Harbour and across to Portsdown Hill beyond. 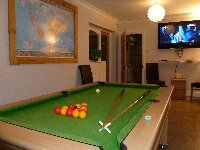 The Dairy House also boasts a games room with a pool/snooker table, table tennis, 50" television and Wii plus plenty of games to keep everyone amused. 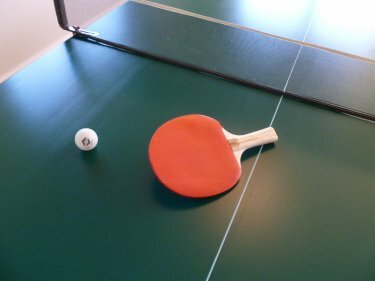 There is also the conservatory which is to be found off the dining and games room which is a lovely place to escape with your morning tea and toast and enjoy the first of the morning sun. 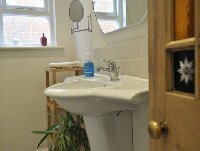 All linen and towels are provided and are changed weekly with a mid week maid service available on request. Child cots, highchairs and stairgates also available at no extra cost. (If cots are provided guests are asked to please bring their own childs bedding). To the rear of the house there is the patio area with table and chairs, the lawn and a large hardstanding by the rear double gates where children can play whatever the weather plus a large gas bbq and enough room to allow a couple of cars or a small boat to be moved off road if required. 3-4 smaller cars can be parked off road on the gravelled drive at the front and there is plenty of on road parking alongside the house and the main street. There are 3 Public houses in close proximity to The Dairy House. The Old House at Home is only a few minutes away who serve good pub food, The Jolly Rodger is a five minute walk and is a good locally recognised 'gastropub' with views over the harbour or there is The Windsor Castle, again only 5 minute walk which has a pool table, darts board and occasional live music. Set in the southern coastal town of Gosport, Hampshire with 3 nearby beaches, the house is only 1 minute from the foreshore of Portsmouth Harbour and is a 5 minute ferry ride to Portsmouth and Gunwharf Quays which has over 90 designer retail outlets, 30 restaurants/cafes/bars, a 14 screen cinema, a 26 lane bowling alley and the now iconic Spinnaker Tower. The tower is the UK�s second tallest publicly accessible building which soars to a height of over 500 feet where you can stand on its splendid viewing platforms and look out over the water to The Isle of Wight and The Spitbank Fort in the middle of the Solent's waters, then back inland over Portsmouth, Gosport, The Roman Castle at Portchester and as far as the eye can see. 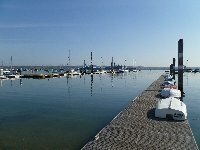 With 24 miles of waterfront, 3 marinas, scenic walks and fantastic viewing points across to Portsmouth and the Isle of Wight, Gosport has a lot to offer. Days at the beach, harbour, island and river cruises, sailing, messing around in the water on funcraft, fishing either off the pontoons, the seawall, or on chartered boats. Keeping with the water there is the Submarine Museum at Dolphin, home to the Royal Navy's very 1st submarine (Holland 1) and the Explosion Museum of Naval Firepower at Priddys Hard, a 10 minute walk from The Dairy House which displays the navys firepower over the years and who's coffee shop looks out over the harbour. We have a number of Forts within the area, part of 'Palmerstons Follies', the then prime minister who commissioned these buildings to deal with or prevent another French invasion, which subsequently never happened. These include Fort Brockhurst on land or The Spitbank Fort which sits in the middle of The Solent ! 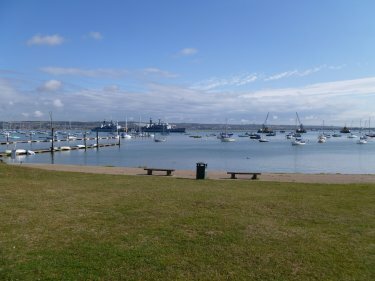 Hampshire is one of Britain�s most unspoiled counties, its coastline boasts a bunch of seaside resorts and includes the great maritime cities of Portsmouth and Southampton, two of England�s largest and most historic ports. Inland lies the New Forest National Park with Winchester being the 9th century capital of King Alfred's Kingdom plus to the east is the glorious chalk-based South Downs. It is also home to a cute bundle of picturesque villages and some of Britain�s most enchanting castles and great houses plus the famous National Motor Museum at Beaulieu. Short and Long Term Stays available. 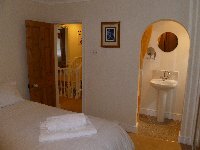 Please view our website www.completeholidayhomes.co.uk for up to date availability and rates.